The excitement was apparently over raspberry “ketones,” the compounds that give raspberries their aroma and flavor. Lisa Lynn, a personal trainer and fitness expert, promoted them as a weight-loss aid with no side effects. The research is limited, and include only anecdotes and two animal studies, so for now, it's hard to tell if any of these claims about raspberries and weight loss are true. One thing I do know is that raspberries are super healthy for you—and the seed oil is great your skin! The antioxidants in red raspberry seeds make them a great addition to skin care products. You may be surprised to learn that raspberries belong to the genus Rebus, which is part of the rose family! Note the similarities in the thorny branches and the shrub-type plant. There are over 200 species of raspberries, widely grown in all temperate regions of the world. They need ample sun and water for optimal development, and thrive in well-drained soil. Each individual raspberry is made up of about 100 “drupelets,” each with a single central seed. One bush can produce several hundred berries a year, normally harvested from early summer through fall. 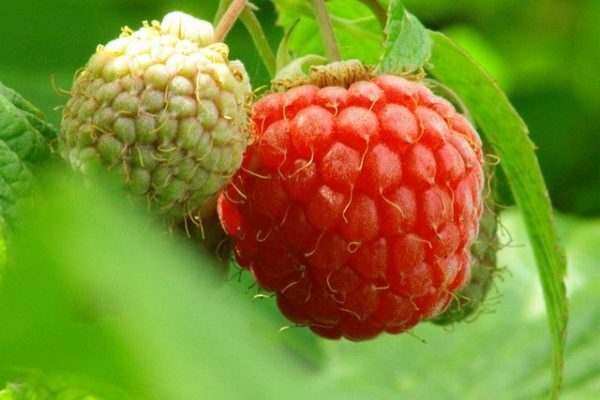 Historically, the roots and blossoms of wild raspberry plants were used to make eye ointments and soothing teas for stomach and throat problems. The Romans get the credit for being the first to start cultivating the berries for medicine and for food. Today, the raspberry is considered a superfood because it's high in nutrients and antioxidants. A serving of raspberries is a good source of potassium, calcium, manganese, and magnesium. They're also high in fiber and vitamin C, while low in calories. The real power of the raspberry in terms of internal health lies in its flavonoid phytochemicals, such as anthocyanins, ellagic acid, quercetin, gallic acid, catechines, kaempferol, and even salicylic acid. Studies show these antioxidant compounds have potential health benefits against aging, inflammation, and neuro-degenerative diseases. Their high potassium and low sodium content are believed to help reduce hypertension. Their low energy, low fat, and no cholesterol and high fiber content makes them good supporters of healthy heart function. The antioxidants in red raspberries—one of the best food sources of antioxidants—have shown potential in helping to reduce cholesterol oxidation, and they may also help inhibit digestive enzymes, resulting in a lowered blood sugar level and increased insulin response. Raspberries have a 50 percent higher antioxidant activity than strawberries, three times that of kiwis, and ten times that of tomatoes. You may also be interested to know that the low-calorie sugar substitute “xylitol” is extracted from raspberries. When we're talking about using raspberries in skin care, we typically use the oil from the seeds. That's because this oil is high in vitamin A and essential fatty acids, both key ingredients in skin care. Linoleic, alpha linolenic, and oleic acids all help protect, while replenishing moisture. The oil also contains vitamin E, which helps to condition and plump your look. Red raspberries are also good for sensitive skin. Finally, research is linking the antioxidants in raspberries as being effective in giving you a youthful, fresh look, both inside and out. Just like you probably add red raspberries to your diet—especially in the summer, when they're so fresh!—you may want to try adding them to your skin care regimen. If you're already using these products, you've got it covered! Do you enjoy red raspberries on a regular basis? What do you think of their benefits in skin care? Jane E. Allen, “Raspberry Ketones Frenzy Follows Dr. Oz Show,” ABC News, April 5, 2012, http://abcnews.go.com/Health/Diet/raspberry-ketones-frenzy/story?id=16074044#.T_n0mnbCMYY. Venket Rao, et al., “Raspberries and Human Health: Time for Recognition,” BerryHealth.org, http://www.berryhealth.org/abstracts/RaoAbstract.html. B. Dave Oomah, et al., “Characteristics of raspberry (Rubus idaeus L.) seed oil,” Food Chemistry 69 (2000): 187-193, http://www.scribd.com/doc/55590439/Characteristics-of-Raspberry-Seed-Oil.